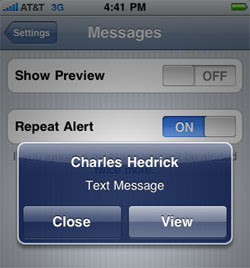 Bored of boring sms on the screen where you have to go into the iPhone to reply and see other info of the message. this is the kind of interface we get in the basic iPhone which is not fun at all. here we have only 2 options view and close. view goes inside the iPhone and opens up the message and close just closes the message. So there is no advanced functionality with this interface by Apple. 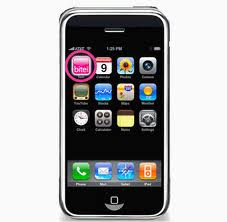 Bite sms a revolutionary software that enables the user to quick reply from the same interface with peeking into the iPhone with unlocking. 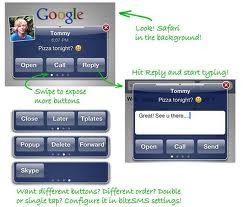 It provides more advanced features like calling the sender, forwarding the message , skype call to the sender etc. Bite sms takes over your old sms interface and keeps itself default whenever a message arrives. Now where to download this? Step1: go to cydia open up sources. ensure that you have added the source (www.sinfuliphonerepo.com). Step2: now open the repository. reach "B" and tap on bite sms and install and its done. the magic starts now and you can experience the magic!!!!!!!! the most important and cool thing is that you donot have to go to messages to message someone. in the middle of the game just invoke bite sms and continue with the game. no need to close the game and then come back. pause will do. Now how to invoke bite sms. Press the volume control buttons of the iPhone on the left hand side and an interface like this will be shown up.